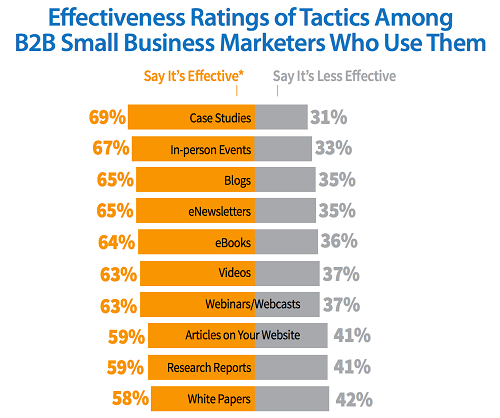 In the above study, sixty percent of small B2B business owners said they plan to increase their content production in 2015. 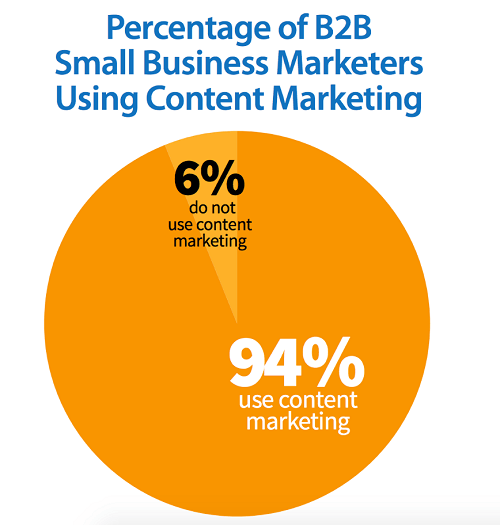 In fact, 94 percent of them already use content marketing in some shape or form. However, only 36 percent claim they have created significantly more content within the past 12 months. Just make sure you can trust your writers with your company’s image. Elance and Odesk are affordable, effective resources to find your team’s next superstar author. 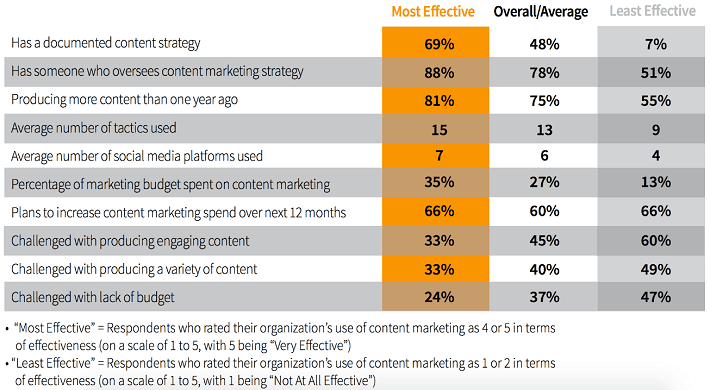 As seen in the CMI study, organizations who feel they are very effective in their marketing place a large focus on content. Not only do they have a documented content strategy, but they also have someone who oversees their content marketing. Most importantly, they are producing a large amount of content and plan to create even more in the coming months. 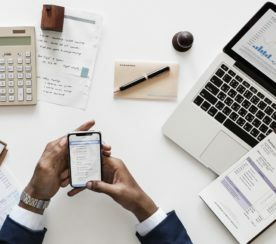 If you want to increase both your confidence in your company and its effectiveness, content should clearly be at the core of your marketing strategy. 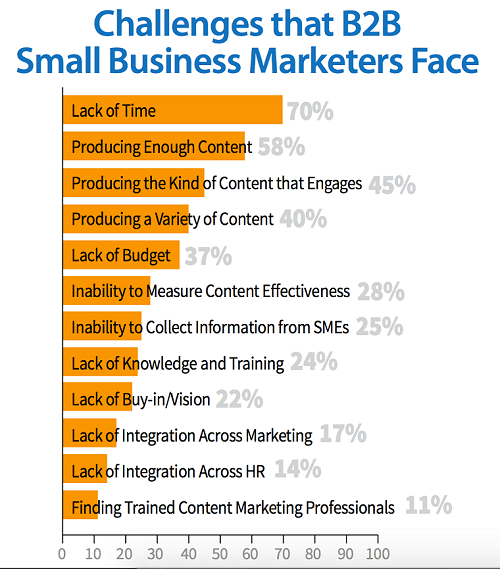 61 percent of small B2B business owners said they plan to increase the amount of content they produce this year. However, only 44 percent have a plan for exactly how they’re going to do that. You see the problem? This rift between goals and action for content marketers can be a big opportunity to get ahead of more than half of your competition. Doing it so is simple – just take the time to make a content calendar. According to Jamie Griffiths on the Convince and Convert website, a content calendar is “a shareable resource that marketing teams can use to plan all content marketing activity.” It helps you plan content around key events in your industry, reveals where you’re lacking material, and, most importantly, gives you enough time to write and publish your articles. Here’s a free calendar template from Convince and Convert. For extra help on planning your writing schedule, here’s a helpful infographic from The Sales Lion. If you want to appear in the top of Google’s search results, you need to consistently post quality articles. Once you’ve done that, web traffic will gradually start increasing. However, your audience can increase even faster if you share your content across multiple platforms. For example, last year during the holiday season a small company called Boutique Homes started sharing content that they had already created over multiple social media platforms. Over the course of four months their articles garnered over 46,000 visitors – a 364% increase in traffic. In addition, a web app development company, Segue, increased their web visitors by 3000% over the course of a year because of their increased content production. 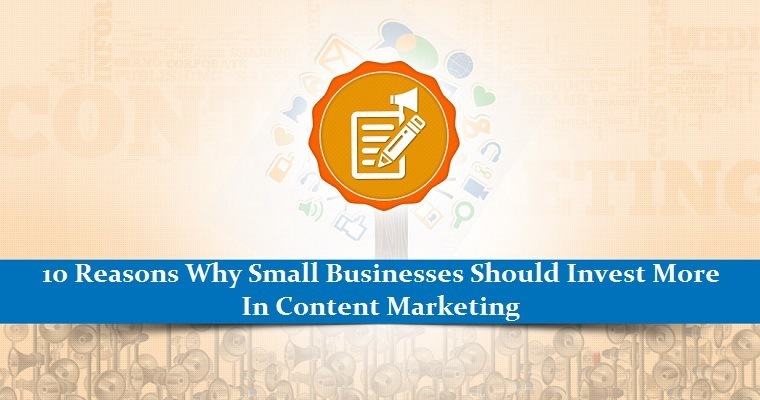 Clearly, content is where your company should be investing a significant amount of its time. After all, more web visitors equals more sales. You can combine bits and pieces from all of the above with a tool such as PDF Converter and turn them into a targeted piece of content, ripe to be dispatched to a segmented audience. Send these customized PDFs and ebooks to targeted email lists, further increasing the reach of your content. To ensure social media shares, make sure to install apps like AddThis. This service provides dashboards that display the number of article shares, as well as click-backs from those shares. AddThis also lets you add larger-than-usual sharing sidebars to your page easily. Hello, extra traffic! 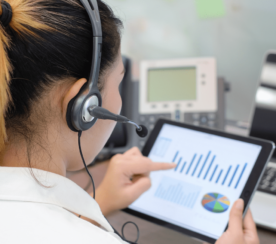 According to Forbes, brand awareness is the number one goal for B2B marketers in North America. Yet this goal can only be accomplished by those companies who are willing to put in the time to generate it. A lot of patience is required to create brand awareness. As with most kinds of writing, telling a story is key to generating interest. 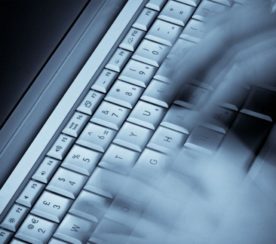 As Stacey King Gordon says on the Suite Seven website, “If you’re not telling stories online, you’re probably not getting results.” Furthermore, you have to make sure these stories make their way into the correct corners of the Internet: on industry blogs and social media. No one is going to want to share your story if it’s simply dry data and Excel spreadsheets. When you become one of the rare publishers who can provide content that is both useful and entertaining, your brand awareness will skyrocket. As you can see from the screenshot above, Birchbox releases new content every month. Yet it’s not simply blog posts. There are also tutorials and videos. In-person events are even featured. As a result, Birchbox’s fashion-hungry customers are constantly coming back to check out their updated content. The company has over 138,000 followers on Twitter and over one million followers on Facebook. In the past 24 hours alone, Birchbox has updated their Facebook page six times. Each post has customer engagement. Clearly, frequent postings are key to getting your audience to trust you and follow your content with a keen interest. No matter what industry you’re in, change remains constant. When you have to write daily or weekly blog posts, you have to stay on top of it. Thanks to constant researching, you’ll really feel like reason #6—an expert in your field. For example, someone who covers the advertising industry should subscribe to the AdWeek and AdAge newsletters. For a list of 12 of the best content marketing blogs in 2014, check out this article from Contently. If you think that content marketing is the new kid on the business playground, you’re wrong. In fact, it’s been around since 1895. 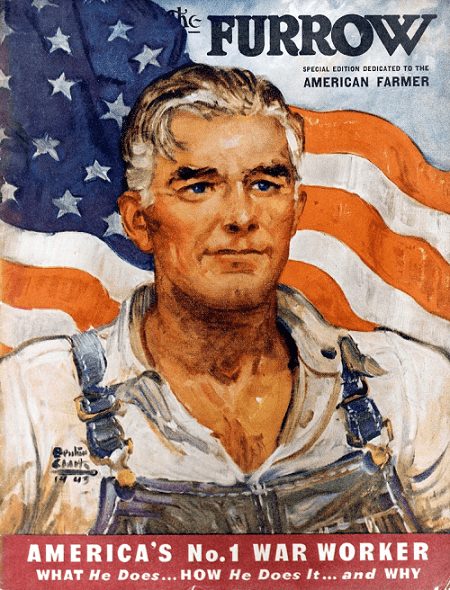 In that year The Furrow, a magazine published by agricultural equipment manufacturer John Deere, was released. Its goal was to help farmers have more fruitful harvests – with the aid of their products, of course. The Furrow is still running today, but in digital form. It’s distributed globally, and is available in fourteen different languages. If content marketing has stuck around for this long, it’s clearly here to stay. Using Twitter and Facebook not only helps you engage with your consumers, but also encourages them to engage with each other. By posing questions at the end of your blog and social media posts, your customers will have the chance to give their own ideas and respond to the thoughts of others. Voila! Increased loyalty to your brand. Just make sure that your content is worth following! Quality is key. 61 percent of consumers say that they are more likely to buy from a company that creates custom content. And isn’t that every company’s major end goal? People want to trust businesses, but they’ll know nothing until you put something out in the digital landscape. For example, 67 percent of Twitter users are more likely to purchase a product from a brand that they follow on the social media site. Don’t completely believe in the power of content marketing yet? 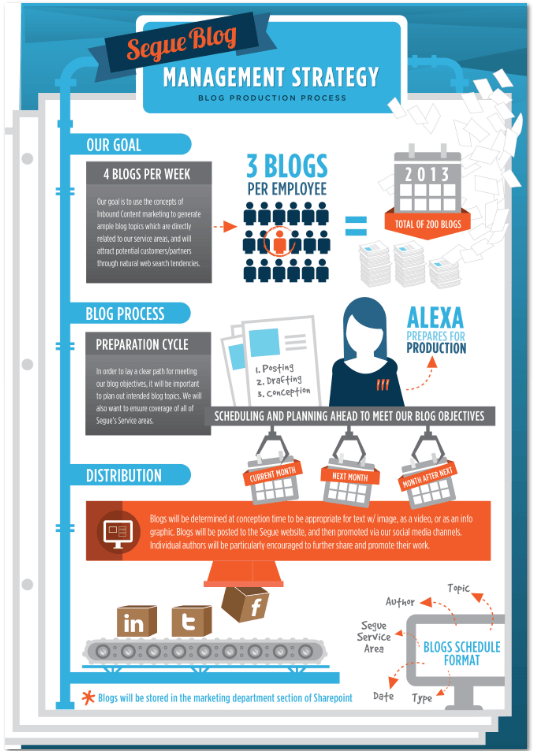 Here’s a final note: B2B companies with blogs generate 67% more leads per month on average than non-blogging firms. 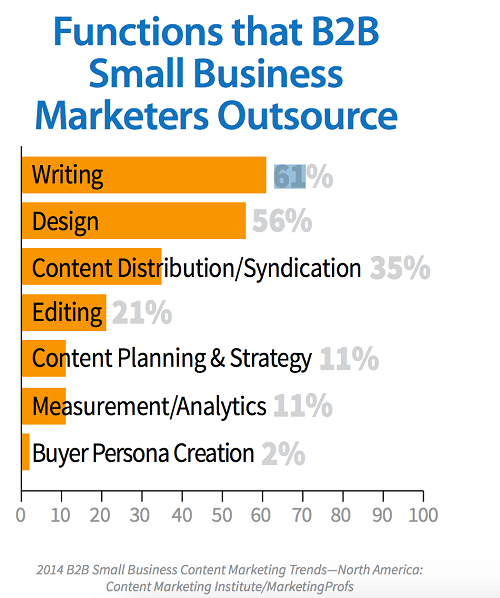 Have you drawn up your content marketing strategy yet?